Fairy tails really can come true! Lots of fun was had this weekend as we brought a Cinderella themed wedding to life. It turns out the Cinderella’s fairy god mother was actually a florist. 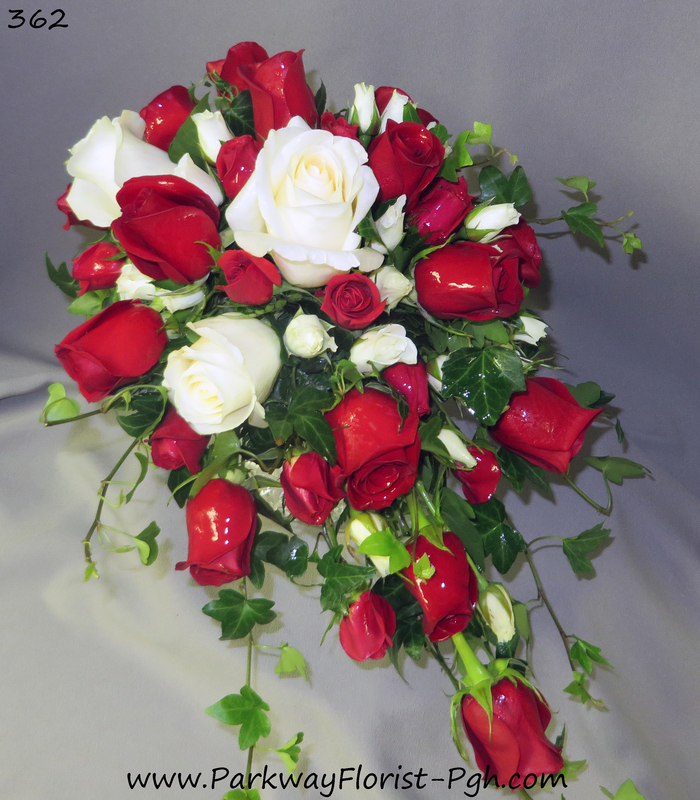 Our beautiful bride carried a classic cascade style bouquet down the isle. Lavender roses, purple lisianthus, blue delphinium, light purple freesia, blue hydrangeas, and accents of flowing ivy vines were all used to create this eye catching design. The bridesmaids carried similar flowers with a pop of texture provided by some blue thistle. The blue and purple color scheme was carried over into the altar flowers and of course the fabulous pumpkin carriage centerpieces that stole the show! These were definitely a statement piece as they tied together the whole theme of the day. We love to find new and unique ways to make your day special and this wedding goes to show that the possibilities are endless! Enjoy! 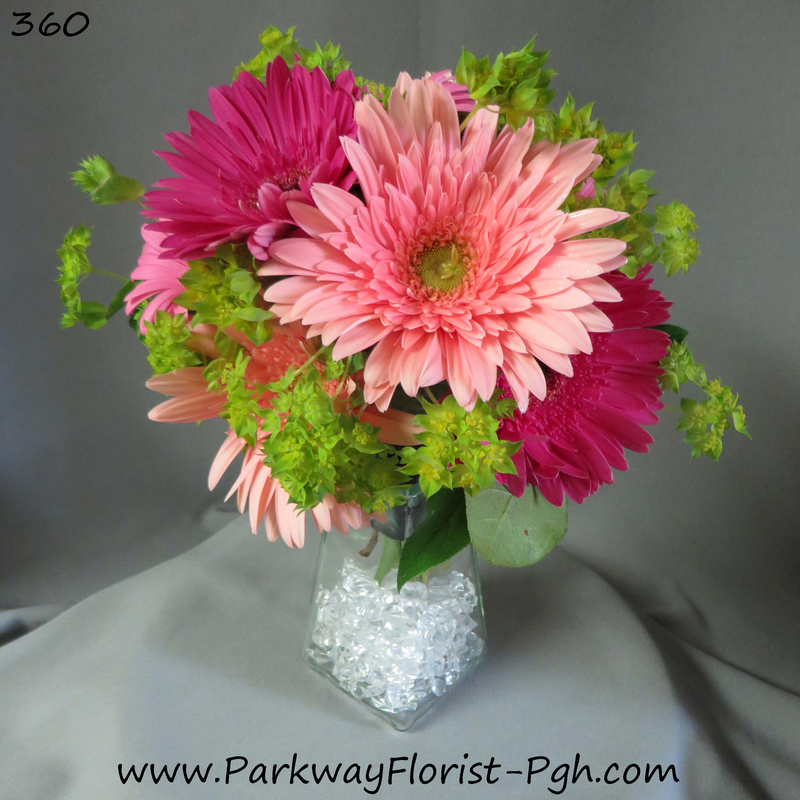 This entry was posted on July 11, 2016, in Weddings - 2016 and tagged bouquets, bride, brides, centerpieces, cinderella, colored roses, colors, fairy tale, Flowers, lavender, love, magical, pittsburgh, purple, wedding, wedding flowers. 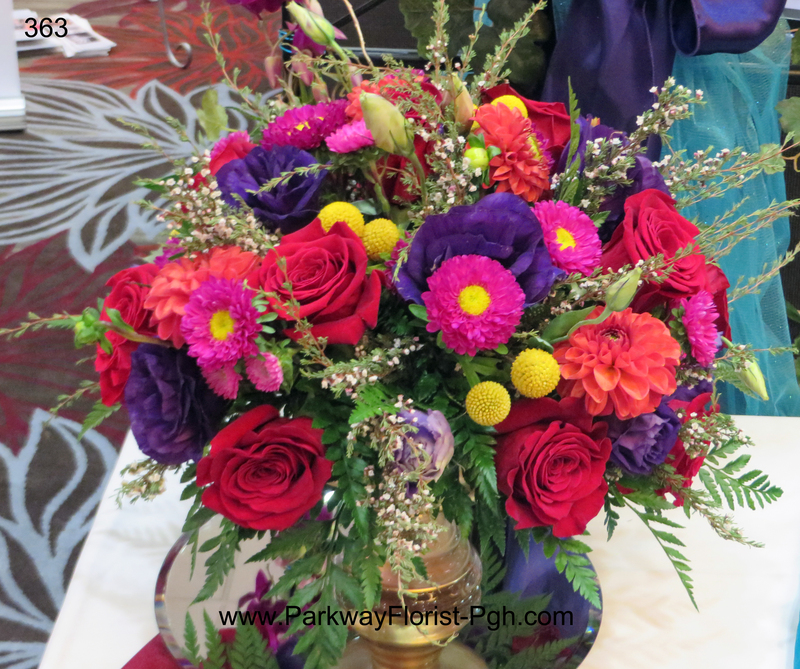 When it came time to start making our plans for the 2016 Cavanaugh’s Pittsburgh Winter Bride Show, we quickly realized that whether we were reminiscing about our favorite bouquets from this past bridal season, or giving our thoughts on the trends for the coming year, all of our conversations kept coming back to one topic: color. Color has played an important role throughout history; most everyone has a favorite color; color also happens to be one of the first things a couple will discuss about their upcoming wedding. Color is a simple, yet powerful way for us to express ourselves. From a young age, many of us begin to use color to show our individuality and throughout our lives we find that color can affect our moods, the way we think, and how we react in different situations. When we begin consulting with our brides to select their wedding flowers, color becomes a significant factor in the selection process. 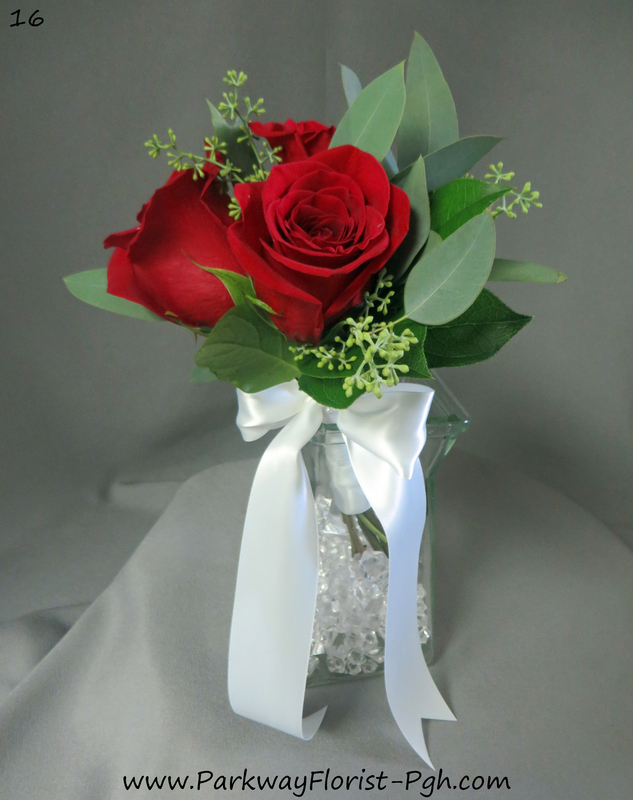 We work with the colors the couple has selected for their special day and we help guide them in choosing flowers that will show the best mix of shade and texture to be sure their choices will be as beautiful in photos as they are in person. Believe it or not, the best way to do this is often by adding in contrasting colors, which allows the flowers to showcase themselves as well their setting, such as a beautiful dress or fancy table linens. This prevents the colors from blending into each other and eliminates the chance that any fine details will be lost in a crowd of similar shades. 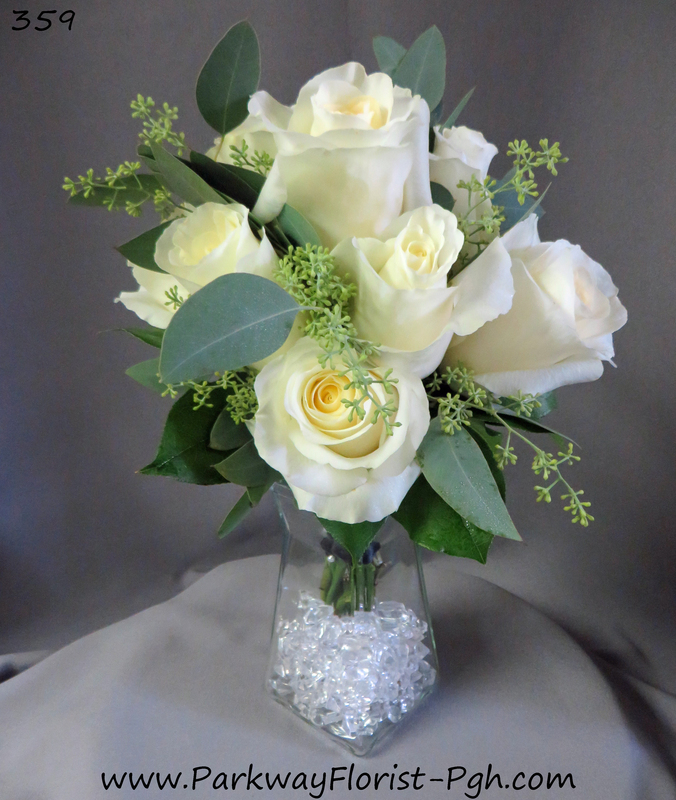 No matter if our brides prefer elegant monochromatic tones, playful pops of their favorite colors, or lavish, vibrant hues, we strive to design bouquets and centerpieces that will allow our couples to express their love and individuality through color. So, tell us, what is your favorite color? How does it make you feel when you see it? Have you noticed the power it can have over you? 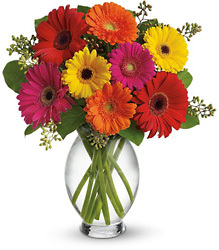 This entry was posted on January 15, 2016, in Ideas & Arrangements and tagged blue, colors, colors for weddings, flower colors, green, orange, purple, red, white, yellow. 3 Weddings and a ??? Saturday morning dawned and it was clear that any outdoor ceremonies were going to need to go to “Plan B” today. The weather, it seemed, had a mind of its own. Our day started with an 11 a.m. ceremony at Duquesne University Chapel. Susan was a very Traditional Bride, carrying a free-form cascade. 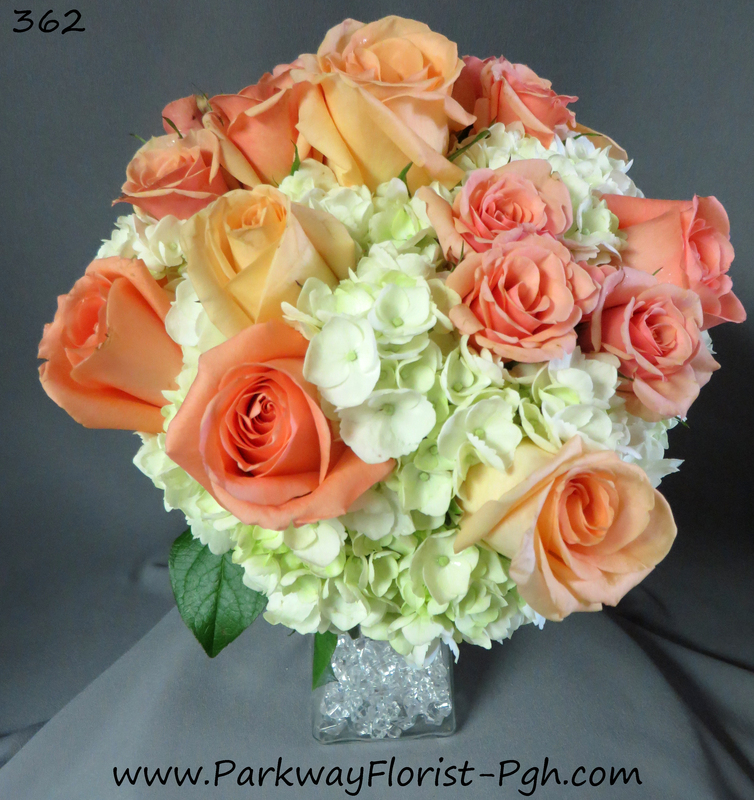 Our second wedding at St. Paul’s Cathedral was all shades of peach, coral, and green. Short, kicky dresses were the order of the day. Our Bethel Park wedding was moved outside to inside. 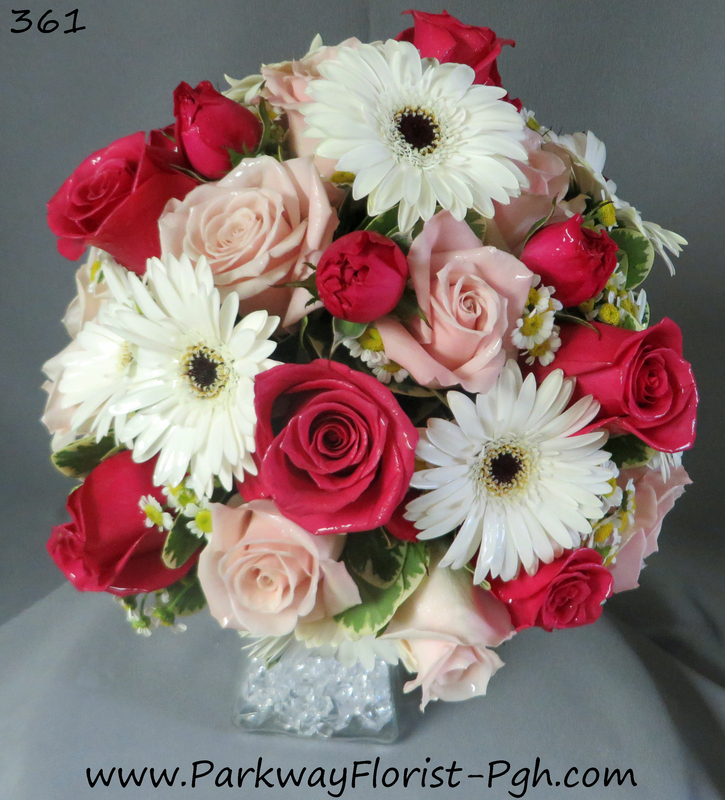 Fun clutches of gerber daisies for the Bridesmaids, roses added for the bride, and our locally grown farm fresh bouquets gracing the reception tables. We know that a fun time was had at all 3 weddings. 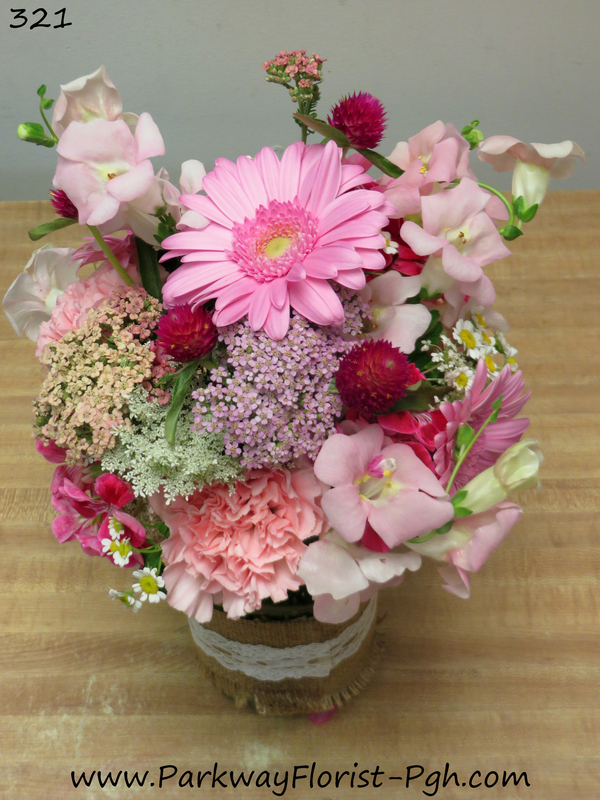 This entry was posted on July 24, 2014, in Everyday Flowers, Ideas & Arrangements, Weddings - 2014 and tagged bling, bouquets, bride, brides, cascade, centerpieces, colored roses, colors, coral, daisies, elegant, farm fresh bouquet, Flowers, gebera daisies, goddess, hot, lavender, love, peach, pink, pittsburgh, purple, red, Roses, sunshine, traditional, wedding, white. June Brides – and everything comes up roses! 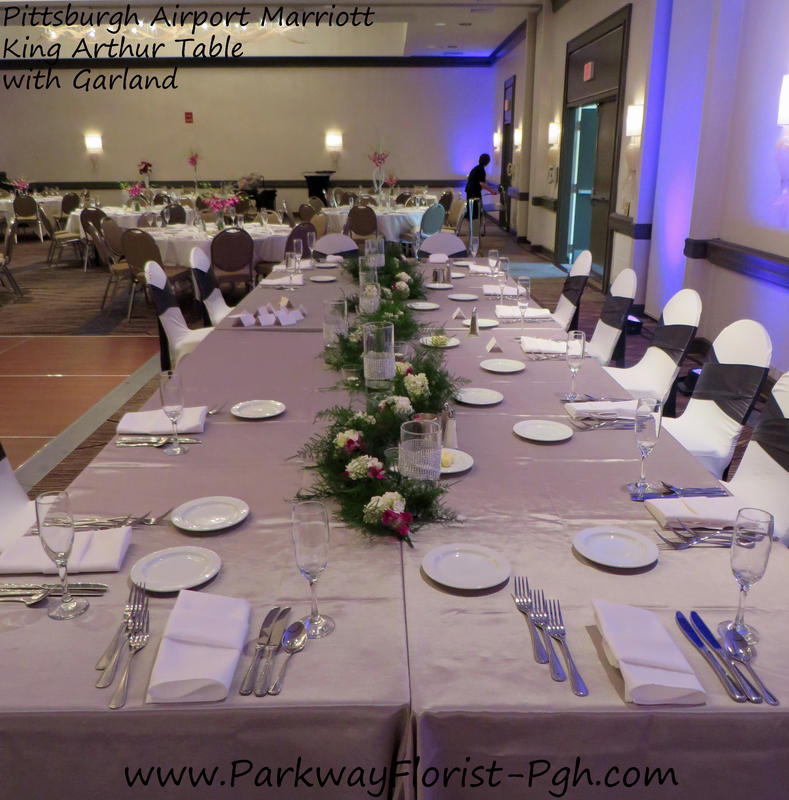 This entry was posted on July 8, 2014, in Everyday Flowers, Ideas & Arrangements, Weddings - 2014 and tagged blue, bouquets, bride, brides, centerpieces, colored roses, colors, Flowers, gebera daisies, lavender, love, pittsburgh, Pittsburgh Airport Marriott, purple, red, wedding, white. 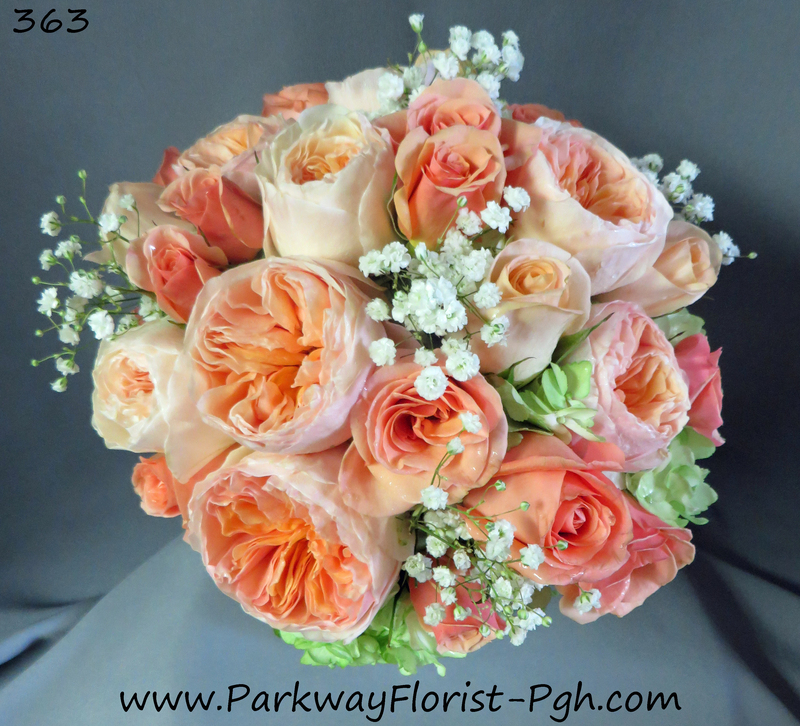 This entry was posted on June 17, 2014, in Ideas & Arrangements, Weddings - 2014 and tagged bouquets, bride, brides, colored roses, colors, Flowers, lavender, love, pink, Roses, wedding, white.